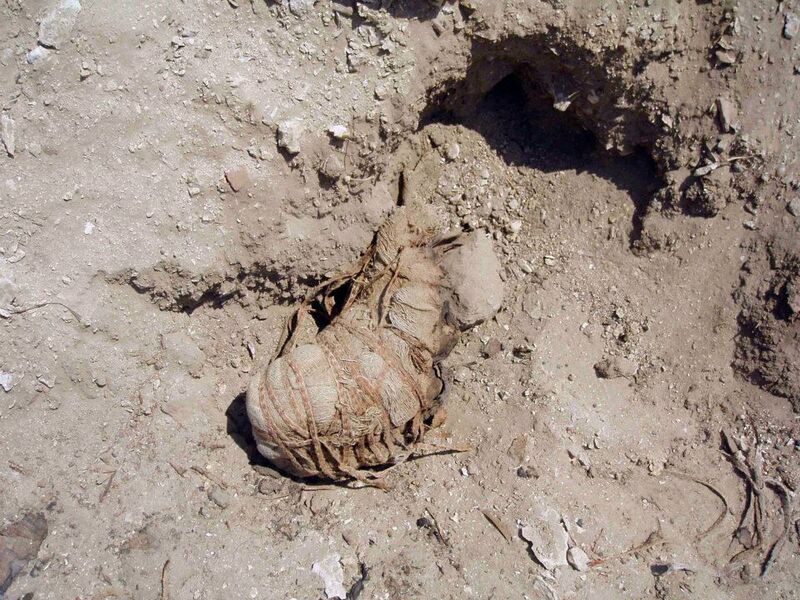 Marco Werman of PRI talks with archaeologist Carol Redmount about ongoing looting at El-Hibeh in Egypt. In the interview which is embedded below Redmount notes that a criminal enterprise which has “mafia-like” characteristics is systematically looting the site. The leader of the operation is allegedly an escaped prisoner. No security is protecting the site. I recommend clicking through to see a slideshow of discarded human remains and looted graves. Site protection is the first and probably most important step which can be taken here. Protections at Egypt’s points of export and importing checkpoints cannot undo the damage being done here. The looters themselves are motivated by a vulnerable resource and economic hardship. You can follow this site on a facebook site Redmount has created to track the situation and offer assistance. When I returned to Cairo from our dig house last week and our van passed the site heading for the eastern desert highway, we saw about ten men openly looting the mound and desert behind (we have pictures of some of them), with conveniently parked motorcycles nearby. One of our drivers took the same road this past Friday and reported that again numerous men were busy with wholesale looting of the site in broad daylight. This is an on-going crisis. They are destroying the site. The SCA officials have tried everything they could to get the looting to stop. Nothing seems to be having any effect. This is something police and security seem to be ignoring, turning a blind eye to, or worse. We started the Save Hibeh facebook page because we are at our wits end as to what else to do . . . The solution is for Egypt’s authorities to raise the level of security at this site and sites like it, or to enlist the assistance of other agencies from UNESCO or Italy’s Carabinieri. We can all collectively pressure Egypt from afar to take these steps, but a nation controls the protection of its own heritage. Our next-best option is to stop buying the shabtis and kinds of salable objects that come from sites like this without complete histories, adequately documented. Andrea Crossan, Egypt Looters Ransack Archaeological Sites PRI’s The World (2012), http://www.theworld.org/2012/03/egypt-looters-ransack-sites/ (last visited Mar 28, 2012).